Grouting is an important part of any tile installation. Grout fills the spaces between tiles, called grout joints, to create a continuous surface. 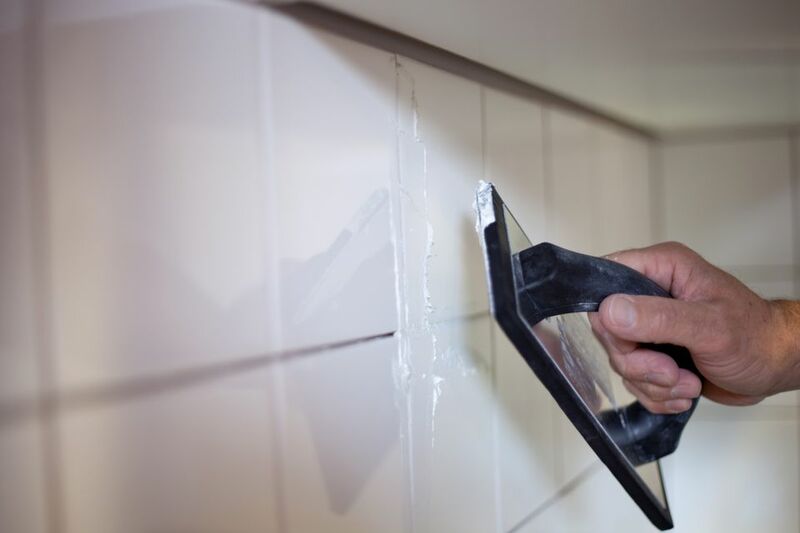 The only way to apply grout properly is by using a rubber grout float, which consists of a rectangular rubber pad that is firm but flexible and a C-shaped handle. The process of grouting with a float includes filling the joints with freshly mixed grout and scraping the tiles clean of excess grout. Rubber grout floats come in two types: wall floats and floor floats. The difference is that wall floats have softer rubber pads than floor floats, which can be quite stiff. Wall floats are generally easier to use and are better for reaching into corners, so they're a better all-around choice for beginners. The tools you find at the store may not say "wall" or "floor," and some may be called "universal." Just compare the softness of the pads to identify the type. Also, spend a little extra for a quality float, especially if you have a large tile job. Cheap tools never work as well as good tools. As a general rule, always move the grout float diagonally over the grout joints. This prevents the edge of the float from sinking into the joints and pulling out the grout. Sometimes you have to work parallel to joints, such as when grouting along the edge of a wall or floor. But otherwise, sweep the float diagonally. Fill the grout joints by spreading the grout across the tiles while holding the float at an angle of about 45 degrees to the tile surface. This is the standard for floor tile. When tiling walls, you may find a lower angle (about 30 degrees) more effective for filling the joints. When all grout joints in a work area have been filled, make a second pass with the float to remove excess grout from the tile faces. This time, hold the float at a steep angle of about 80 to 85 degrees – almost straight up and down. A steep angle cleans the tiles without pulling grout from the joints. A rubber grout float does a nice job of scraping the excess grout from the tile faces, but it can't make the tiles clean. It usually leaves a film of chalky grout residue that you clean up with a grout sponge after the grout has set. Your cleaning pass with the float should remove all blobs and chunks of grout, but you can leave the haze for later.